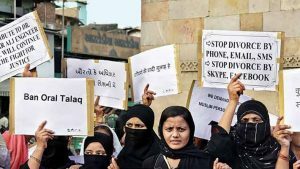 The Supreme Court today will begin hearing arguments in Shayara Bano v. Union of India, which has popularly come to be known as the “triple talaq case”. 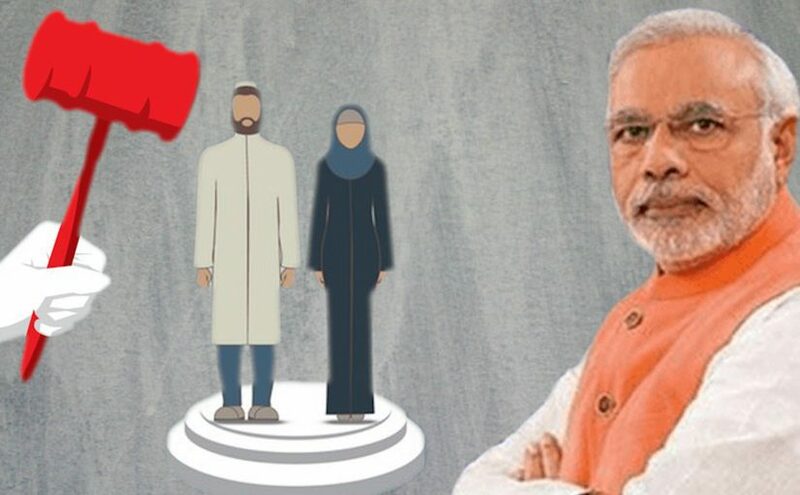 This case, in which the constitutional validity of certain practices of Muslim personal law such as triple talaq, polygamy, and nikah halala has been challenged, has created political controversy across the spectrum. 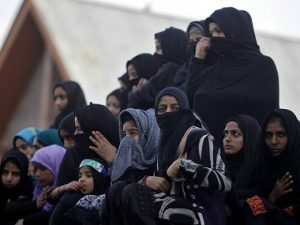 The All India Muslim Personal Law Board (AIMPLB) has warned secular authorities against interfering with religious law. On the other hand, Prime Minister Narendra Modi has lent his support to the Muslim women fighting against the practice of triple talaq. One would expect the judges of the Supreme Court to adjudicate the constitutional validity of triple talaq (and, if they choose, of the other practices under question as well) detached from the political debate, and strictly in accordance with law. A closer look reveals, however, that the court cannot decide this case without engaging in a series of complex and difficult choices. In particular, the court will have to decide first whether to adjudicate the case in a narrow manner, which stops at assessing the relationship between triple talaq and Muslim personal law, of whether to undertake a broader approach, and ask whether personal law can be subject to the Constitution at all. Proponents of the first view — which include some of the interveners before the court — invite the judges to hold that triple talaq is invalid because it has no sanction in Muslim personal law. In response to the AIMPLB’s claim that the state has no right to interfere in the personal, religious domain, they respond that the religious domain, properly understood, does not, and has never, allowed for triple talaq. They draw a distinction between instantaneous talaq, or talaq-i-bidat (where divorce is complete when “talaq” is uttered three times in succession) with talaq ahasan, which requires a 90-day period of abstinence after the pronouncement, and talaq hasan, which requires a one-month-long abstinence gap between utterances. The latter two are part of Islamic personal law, but the first one is not. Relying upon the Supreme Court’s own judgments, they point out that only those features of a religion are constitutionally protected which are “integral” or “essential” parts of it. 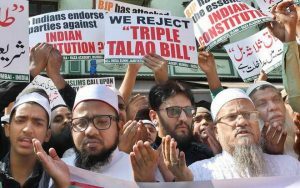 There is no evidence to show that talaq-i-bidat constitutes an integral part of the Islamic faith and, consequently, it does not deserve constitutional protection. On this view, the Supreme Court need not go into tangled and messy questions involving personal law and the Constitution; it can decide the question on its own terms. Although this would involve secular judges laying down the law on what Islam does or does not consider an essential religious practice, the Supreme Court has been engaging in such religious inquiry at least since 1966, and it is too late in the day to now say that it cannot, or should not. In fact, the Supreme Court itself, in a number of cases, has either doubted the validity of instantaneous triple talaq, or gone so far as to say that it is not a part of Muslim personal law. commands. Such judicial intervention has primarily — but by no means exclusively — been in the domain of Hindu law. In the words of one scholar, instead of subjecting religion to external norms (such as those prescribed by the Constitution), the court has attempted to reform religion from within. Of course, there is a very basic question here about the court’s competence and legitimacy to undertake such a task. However, while the narrow view would be the easy and natural path for the court to take, it would also entail missing a significant opportunity. There is a broader, almost radical, path that the court might chart. It might hold that controversies such as whether triple talaq is sanctioned by the Islamic faith raise questions that a court cannot, or should not, attempt to address. Far from entering the thicket of personal laws, the court should simply ask whether a challenged practice of personal law violates anyone’s fundamental rights. This approach, however, runs into one significant problem. In order to subject triple talaq — as a claimed aspect of Muslim personal law — to constitutional norms, the court must first overrule a 1951 judgment of the Bombay High Court (subsequently affirmed by the Supreme Court in another case) called State of Bombay v. Narasu Appa Mali. In that case, Justices Chagla and Gajendragadkar held that uncodified personal laws may not be scrutinised for fundamental rights violations. They did so on the technical reasoning that Article 13 of the Constitution subjected only “laws” and “laws in force” to the scrutiny of fundamental rights, and that “personal laws” are neither “laws” for this purpose, nor “laws in force”. Beneath this technical reasoning, however, was a deeper assumption: a distinction between law, as created by the state or its agencies through acts of legislation on the one hand, and “personal law”, which had its source in the scriptures, and in non-state bodies for interpretation and enforcement, on the other. Ultimately, the choice between the court is a stark one. Ever since the Narasu Appa Mali case, there has been a domain of law — i.e., uncodified personal law — that has simply been deemed to be beyond the realm of the Constitution, and beyond the scrutiny of constitutional norms such as equality, freedom of conscience, and the right to personal liberty. Not only has this created a paradoxical situation where, as long as personal laws are uncodified, they escape constitutional scrutiny, but the moment they are legislated by the state (as large parts of Hindu laws were in the 1950s), they become subject to the Constitution; but it also seems to be entirely at odds with the basic principles of a republican democracy governed by a secular Constitution. There is no doubt that triple talaq violates women’s rights to equality and freedom, including freedom within the marriage, and should be invalidated by the Supreme Court. The larger question, however, is whether the court will stick to its old, narrow, colonial-influenced jurisprudence, and strike down triple talaq while nonetheless upholding a body of law that answers not the Constitution, but to dominant and powerful voices within separate communities; or will it, in 2017, change course, and hold that no body of law (or rather, no body of prescriptions that carries all the badges and incidents of law) can claim a higher source of authority than the Constitution of India?